What makes Smarter Entry so robust? 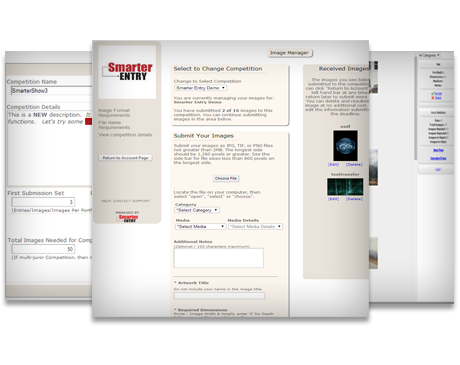 Smarter Entry is an economical, fully integrated, web-based competition and call-for-entry management system. It will handle all of your registration, fee processing, submission, and jurying functions so you can focus on running a successful event at home or around the world. 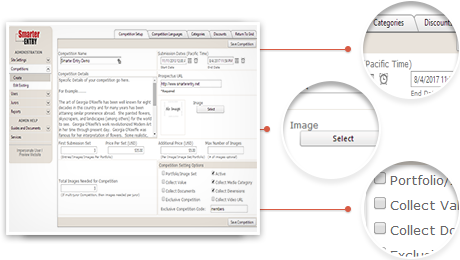 Developed in 2003, Smarter Entry continues to offer new enhancements to its clients at no additional cost. Smarter Entry enables you to organize and manage all your events from start to finish without installing any software or relying on Smarter Entry staff. An internet connection is all you need to setup one or multiple events. All access is protected with a username and password. Administrators, artists and jurors have separate login portals. 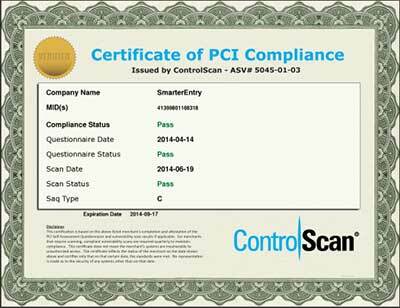 Smarter Entry is PCI compliant and uses SSL (Secure Socket Layer) encryption between browsers and the server. Smarter Entry processes credit card transactions through TransFirst, an industry leader. Smarter Entry staff neither sees nor retains any credit card information.